Lisa Smith-Craig better known, as LSC to her industry counterparts is a Fashion Stylist and Creative & Image Consultant whose work has been seen in publications such as Zink, Elle, FashionTV, Fault, Relapse, Noi.se, Factice to name a few. LSC also has styled talents such as Ashanti, Teyana Taylor, Tinashe, Keshia Chante, VH1 Girl Code‘s Tanisha Long, VH1 Love & Hip Hop Atlanta’s Ariane Davis, Fox Empire’s AzMarie Livingston etc. as well as professional athletes and product lines. Currently, she is the Creative Director for Laurel DeWitt Designs and works as Wardrobe Stylist for various awards shows. Most days, LSC can be found in the chic midtown office she and partner WNBA superstar Cappie Pondexter share, while running their image development firm 4Season Style Management. When asked about her personal motivation behind 4Season, LSC states “I wanted to bring all of my experiences together to create a story for others. I realized my experiences in retail, visual merchandising, styling and music, have all been put to use in helping develop cutting edge imagery for successful media”. Black History Month is a time of reflection, discovery and self-awareness. It’s a platform to acknowledge contributions and achievements of our Black ancestors past and present and to me it is time to rejuvenate new energy and inspiration for our future growth as a community. Expressing individualism is in!!! 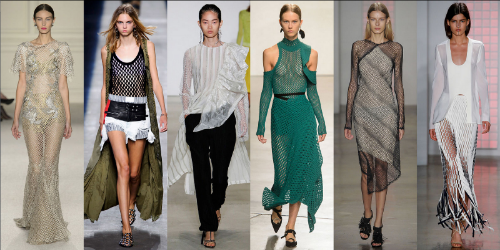 Having fun with style trends by mixing and matching, patterns and textures, soft and hard edges, fringe and netting is on trend this Spring and I predict will show up in Fall fashions as well. I have established my own signature look for the way that I dress and I find ways to incorporate trends into the style I have built for myself such as fringe, black and white and white. Although those trends are already staple in my wardrobe, it keeps me current when fashion designers choose to present as new ideas for each season.